Please gather to enjoy a presentation from our very own Chapter Member, Robin Matthews. Do bay windows, low soffits, and odd angles give you heartburn when fabricating window treatments? Did you know that determining how the window treatment will be installed before deciding on the best fabrication method will always lead to the most successful outcome? Robin will share her innovative installation and fabrication techniques for bay windows and other architectural oddities. Robin Matthews started her business “Seams Sew Right” in 2000. 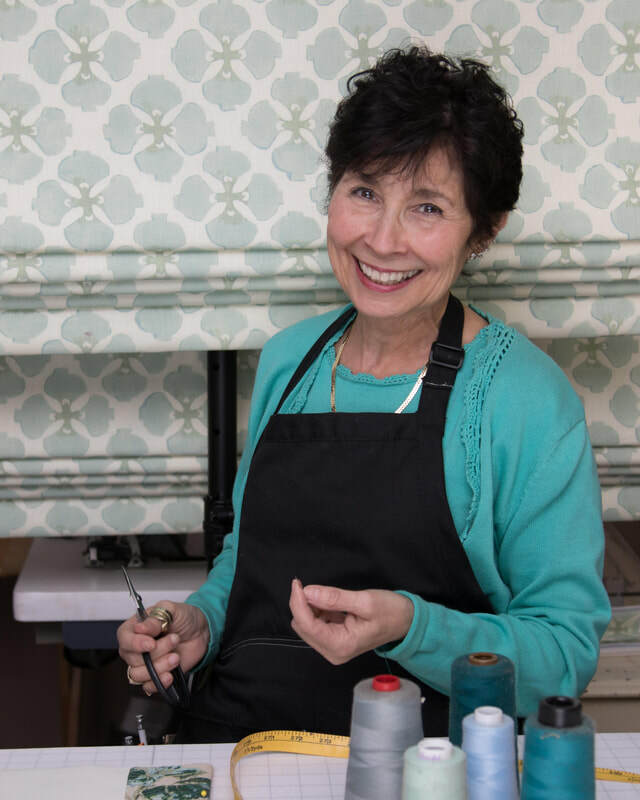 Her workroom offers custom, high end window treatments, bedding and slip covers to designers and retail clients. Her work has been featured in DIY, Good Housekeeping and Design NJ magazines. Robin is a member of WCAA National, New Jersey and Virtual Chapters.